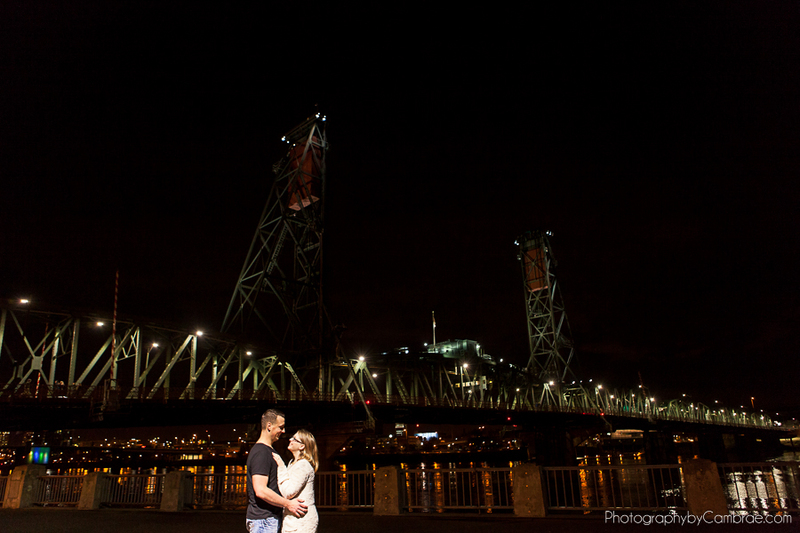 After a romantic early Valentine’s day dinner at Departure, Travis walked his bride to be, Riann, along the waterfront. Little did she know the photographer they just passed “taking pictures of the bridge” was about to become a part of her proposal story. As soon as I saw Travis go down on one knee I turned my camera towards them and was able to capture some priceless expressions. I moment none of us will soon forget. After the ring was on her finger, and she knew I was in on it, we spent some more time walking around together taking pictures by the Hawthorne Bridge and the World Trade Center Portland. Planning a proposal or looking for a wedding photographer for your big day? Contact Photography by Cambrae, also find pricing and package information on our site.